Welcome to Pure Bred Pups in Joice Iowa! View our Shih Tzu Bichon puppies for sale, new/upcoming litters, sold Shih Tzu Bichon puppies and past litters. allergy friendly. Our Shih Tzu Bichons weigh between 10-17 pounds and they range from 9-11 inches in height full grown. addition to any ones home. The Shih-Tzu Bichon is a hybrid breed, with the first-generation crosses being a mix of Bichon Frise and Shih Tzu. It is not a purebred dog, which sometimes makes it a challenge to determine the dog’s future temperament, but if you research the temperament of both breeds and are comfortable with the fact that your Bichon Frise Shih Tzu mix may exhibit, to varying degrees, any of those characteristics, you ought not to be surprised. Because they are a cross between these two breeds, these dogs are compact and sturdy. This breed, also known as the Zuchon, can reach heights of about 12 inches and will weigh between 12 and 14 pounds full grown. They are a great choice for people with allergies, as they are a hypoallergenic breed! Bichon Frise Shih Tzu crosses are playful and full of life and are a great social companion. They are gentle and well mannered, and are alert and intelligent, traits they inherit from both parent breeds. They can be stubborn, but if you can get through the housebreaking challenge you will be rewarded with an obedient, loving puppy that is great around children. They can keep pace with an active lifestyle and will make great family pets. Like most hybrids, Zuchons inherit the best of the best in terms of their health. Your puppy should not exhibit any congenital defects that can be present in purebred dogs. Because they are hypoallergenic, these dogs make great companions for allergy suffers, as we’ve mentioned. And their soft coats require not much more than a weekly brushing to keep it free from tangles, and oh-so-touchable. They only require a moderate amount of exercise and will adapt nicely to an indoor lifestyle, making them perfect for life in an apartment. Because they are so social, however, be aware that your puppy may get a little miffed if you leave the house without her. She’ll get over it though, once you return! So, if it’s a cute, cuddly, kid-friendly puppy you want, head over and see us. We are a responsible breeder and we assure you that each of the puppies we have for sale has been treated with love and brought into the world in a loving environment! We currently have no Shih Tzu Bichon for sale. If you would like to be notified, please contact us and we will notify you when our Shih Tzu Bichon become available. Male Shih Tzu Puppies for Sale $675 Located Near Joice Iowa 50446. Great Teddy Bear Breeder for Buyers in WI, IL, MN, and IA! Easy Teddy Bear Pick Up for WI, IL, MN, and IA! Teddy Bear Breeders in Illinois, Wisconsin and Minnesota Have a Hard Time Matching the History of Purebredpups Located in Iowa. Over 20 years of Breeding! The Puppies for sale are ready now! Ready In September, 2012. Shipping Teddy bear puppies by Delta Air Is Available for $150 out of Minneapolis St Paul Minnesota. Most fights out of Minnesota are direct. One Year Money Back Guarantee on Health and Genetics for the sale Price of the Puppy. Just call (641) 588-3110 Click on (More Product details) for more pictures of this Shih tzu bichon! Ready on August, 2012. Shipping Teddy bear puppies by Delta Air Is Available for $150 out of Minneapolis St Paul Minnesota. Most fights out of Minnesota are direct. One Year Money Back Guarantee on Health and Genetics for the sale Price of the Puppy. Just call (641) 588-3110 Click on (More Product details) for more pictures of this Shih tzu bichon! Ready on July 28, 2012. Shipping Teddy bear puppies by Delta Air Is Available for $150 out of Minneapolis St Paul Minnesota. Most fights out of Minnesota are direct. One Year Money Back Guarantee on Health and Genetics for the sale Price of the Puppy. Just call (641) 588-3110 Click on (More Product details) for more pictures of this Shih tzu bichon! Teddy bear Puppies for Sale in Iowa! Shih Tzu Poo Puppies for Sale in North Iowa! Shih tzu Poo and Shih tzu Bichon puppies ready now! White and Black Shih Tzu Poodle Puppy for Sale in Iowa. White and Apricot Teddy Bear Puppy for Sale $875 Ready soon! Iowa's Top Dog Breeders Have Teddy Bear Puppies Available! This girl is ready to go NOW! This white pup will be be ready soon! 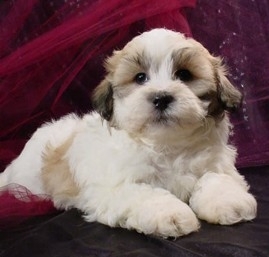 Male, Gray and White, Tri Colored, Multi Length Hair, Shih tzu Bichon Puppy For Sale! One of a kind Puppy! Not even 1 in a billion chance you will see another like it! Teddy bear puppies are ready now! Iowa Breeders with Teddy Bear Puppies for sale! Great Shih tzu Bichon Breeder! Illinois, Wisconsin, Michigan, Minnesota, and Iowa! Teddy Bear Puppies for Sale! Available Male Shih tzu Bichon Puppy! Very Cute Markings. Ready Now! Teddy Bear Puppies for Sale! Easy to Find Breeder in North Iowa. Looking for Shih tzu Bichon Puppies for Sale in WI,MN,IL, or MI? Try Iowa's Top Dog Breeder! Shih Tzu Bichon Puppies Ready Now! Black and White Male Shih tzu Bichon Puppy for Sale DOB 3-15-16 $875. Shipping puppies for only $250! Black and White Shih Tzu Bichon Puppy for Sale By Teddy Bear Breeders in Iowa! Teddy Bear Breeders in Minnesota and Illinois are Welcome to Buy Shih tzu Bichons From Iowa's Top Dog Breeder! 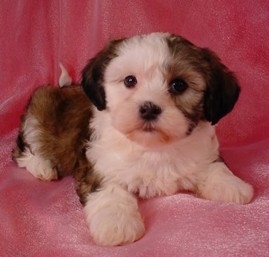 Shih tzu Bichon Puppies Are Also Called Teddy Bear Puppies. The Shih tzu Bichons For Sale Were Born 9-4-15. Male Teddy Bear Puppy for Sale #5 DOB 1-10-15 Shipping for less than most teddy bear breeders in Illinois, Wisconsin, Iowa, and Minnesota! Male Teddy Bear Puppy for Sale #6 DOB 3-10-15 Black and White Puppies! Female Bichon Shih tzu Puppy for sale #9 DOB 3-10-15 WI,IA,MN, and IL, are all within a short drive! Teddy Bear Dog Breeder in Iowa with Puppies for sale at lower Prices than Most teddy bear Breeders in Wisconsin, Minnesota, and Illinois! Male shih Tzu Bichon Puppy for sale #1 DOB 12-12-13 Teddy bear breeder who has puppies for sale at lower prices than most bichon shih tzu Breeders in FL,ME,NH,NC,CA,NJ,MD,MA,and PA. Female Teddy Bear puppy for sale #1 Born April 2013|Looking for a good Dog Breeder Located in Iowa? 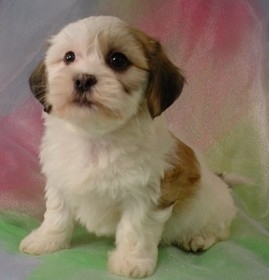 Female Shih tzu Bichon Puppy for sale #2 Born April 20th 2013|Iowa teddy bear Breeders with teddy bears for sale Now! Male Teddy Bear Puppy for sale #3 Born April 20th 2013|Ready June 2013|We have been great dog breeders for folks in Illinois, Wisconsin, and Minnesota too! Male Bichon Shih tzu Puppy for sale #4 Born April 20th 2013|Shipping only $150 to RI,GA,NJ,PA,NY,NH,VA,MD,MA,DC,FL,NC, and Many More! Female Shi tzu Bichon Puppy for sale #5 DOB April 20th 2013|Teddy bear Breeder Located Perfectly for Illinois, Wisconsin, Minnesota and Iowa shoppers! Male Shih tzu Bichon Puppy #7|Are you Looking For teddy Bear Puppies for sale in Minnesota, Iowa, Illinois, or Wisconsin? Purebredpups is in North Iowa! Female Teddy bear Puppy for sale #5 Born March 21st 2013|Teddy bears for sale in Wisconsin and Illinois usually cost More! Male Teddy bear puppy for sale #1 Born February 10, 2013|Discounted shipping available to Florida and many other states right Now! Male Teddy bear Puppy for sale #4|Do you need shipping? Only $150 to Fly puppies to New Jersey, Florida, Maryland, and Many other States! Zuchon Puppies for sale in Iowa, Shipping $150, Ready soon! Male White with light apricot Shih Tzu Bichon Puppy Ready Now! Ready on May 18, 2012. Shipping Teddy bear puppies by Delta Air Is Available for $150 out of Minneapolis St Paul Minnesota. Most fights out of Minnesota are direct. One Year Money Back Guarantee on Health and Genetics for the sale Price of the Puppy. Just call (641) 588-3110 Click on (More Product details) for more pictures of this Shih tzu bichon! Ready on May 1, 2012. Shipping Teddy bear puppies by Delta Air Is Available for $150 out of Minneapolis St Paul Minnesota. Most fights out of Minnesota are direct. One Year Money Back Guarantee on Health and Genetics for the sale Price of the Puppy. Just call (641) 588-3110 Click on (More Product details) for more pictures of this Shih tzu bichon! Ready on March 1, 2012. Shipping Teddy bear puppies by Delta Air Is Available for $150 out of Minneapolis St Paul Minnesota. Most fights out of Minnesota are direct. One Year Money Back Guarantee on Health and Genetics for the sale Price of the Puppy. Just call (641) 588-3110 Click on (More Product details) for more pictures of this Shih tzu bichon! Teddy bear puppies available in North central Iowa!